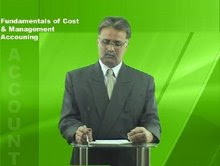 September 2011 - Online Tuition Pakistan, Tutor, Academy Saudi Arabia, Australia USA. Online Math Tutor Karachi Pakistan, Professor Masood Amir is a qualified and well experienced (Over 28 year) Mathematics, Math, Statistics, Stats teacher. He is master in the fields of Mathematics and Statistics. Working as a full time Math tutor in Karachi, giving home tuition to the students of Metric, A level, O level, VI to VIII grade, intermediate, graduation, B.Sc, B. Com, M.A., ACCA, ICMA and also Mathematical Economics to MA economics students. He is a dedicated and well behaved experienced math tutor, quite well known in the education circle of Karachi, London and many other cities of the world. He has more then 10,000 students who praises him of his teaching style. Online Tuition Pakistan: We offer private Online tutor in Karachi, Kuwait, Saudi Arabia, Dubai, Bahrain, London, USA, UK, Ireland, Indonesia, Malaysia, Singapore, Italy, France. Online Stats tuition and tutors Karachi services, private teachers for Online, tuition, Karachi, tutoring mathematics, Karachi, Online tuition, O level Math, A level Math, Edexcel math tutor Karachi at Online, B.Sc, inter, metric, federal board, Agha khan board and Karachi board mathematics tutors at Online.